Indian auto-maker Maruti Suzuki has released the sales report for the month of May. Maruti Suzuki, which is a market leader in car industry has again seen a spike in their growth according to May 2015 sales report. Maruti Suzuki India has sold a total of 1,14,825 units in May 2015 as compared to 1,00,925 in May 2014 – which indicates a positive growth of 3.4% year-on-year. Breaking these figures- 1,02,359 units of these cars were sold in domestic market and 12,466 units accounted for the export sales. 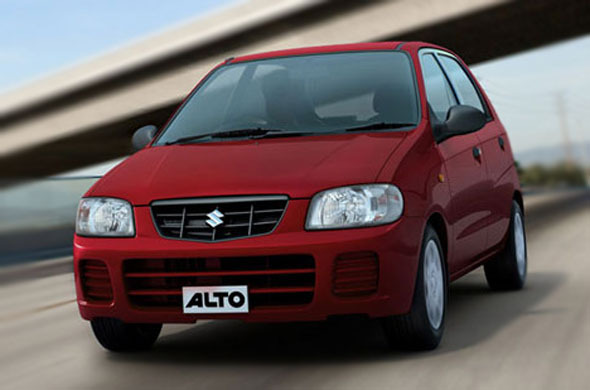 35062 units of cars like Maruti Alto and WagonR has been sold in the Mini category of affordable segment. When it comes to compact segment which includes the cars like Maruti Suzuki Swift, Ritz, Celerio, Dzire, the company has sold over 41926 units which is lower when compared to last year’s performance. However, the Mid-Size segment (SX4 and Ciaz) cars has seen a whooping growth of 4042.1% when compared to May 2014, this is because, Maruti didn’t have models like Ciaz in May 2014. Talking about the performance of utility vehicles like Gypsy, Ertiga and Grand Vitara, the company has sold over 5567 units in the month of May when compared to 5253 units in May 2014 accounting for a growth of 6%. The C segment Vans like Omni and Eeco has performed well too by selling 11602 units this May, when compared to 10771 units in May 2014 showing a growth of 7.7%. Overall, 13.8% Yoy growth is a good thing for Maruti Suzuki India Limited.